Good quality four star serviced apartments at locations around Marylebone. These apartments have stylish decor with feature beds and orthopaedic matresses. They have full equipped kitchens with an oven, dishwasher, microwave and fridge. 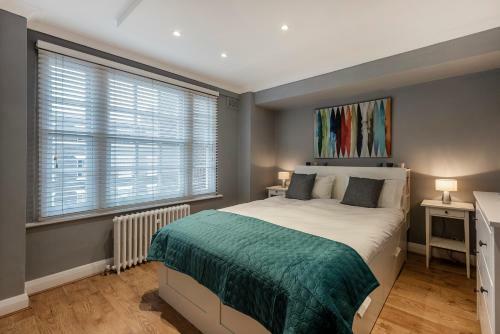 Stylish, sophisticated servied apartments in George Street, Marylebone, just a short walk from Marble Arch station. The properties, rated four star, benefit from free wifi. open plan living areas, luxury bathroom and modern fitted kitchens with oven, microwave and fridge.